The Make Noise 6" Patch Cables are the result of a collaboration between Make Noise and Ad Infinitum. 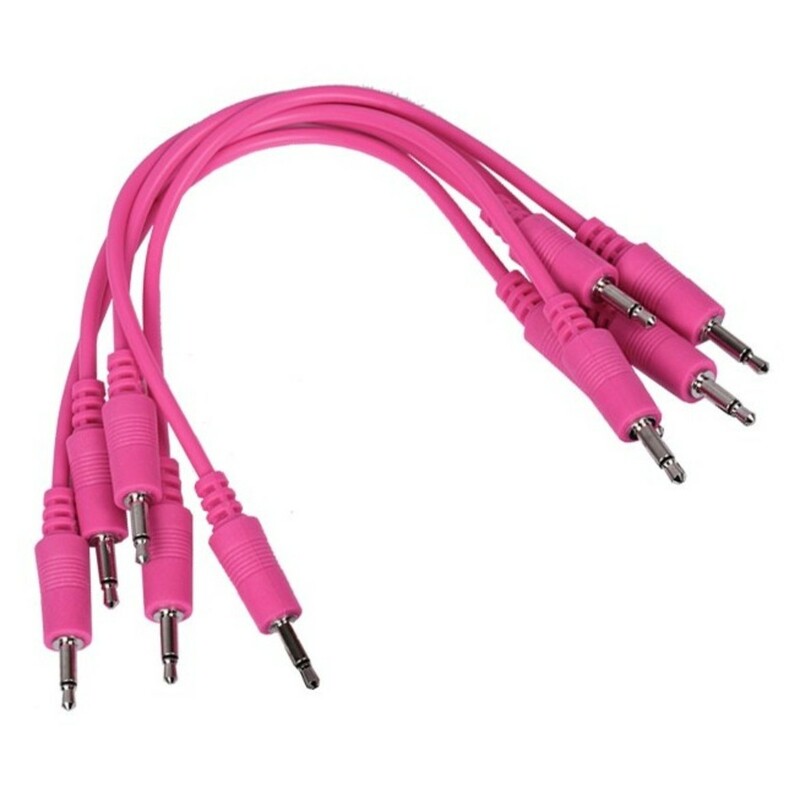 These Hot Pink custom-colour cables deliver pristine signal flow, and are crafted from 99.9 percent pure and oxygen-free copper. Each 3.5mm connector is nickel-plated, ensuring excellent corrosion resistance and conductivity. The cables are 6'' / 15cm in length, and come complete as a pack of 5. These are the perfect cable choice for your Make Noise modular system.